Project Gridless: Are Compound Bows Superior to Recurve Bows? Are Compound Bows Superior to Recurve Bows? Are Compound Bows Superior to Recurve Bows? - I have seen this topic / argument come up regularly on Facebook / archery forums. Usually the argument will be brought up by a compound shooter who has zero respect for recurve bows (has never shot one, doesn't know how to aim without using a sight, etc). Basically it is like a rifle shooter saying that rifles are superior to crossbows. Or fighter jet pilot saying that fighter jets are superior to combat helicopters. The person making the assertion is speaking from a position that they assume is the correct one, but in fact shows their ignorance. As someone who shoots both recurve bows and compound bows, and furthermore repairs compound bows, I must note that I have never found a compound bow that doesn't eventually break. To me recurve bows are like well maintained sports cars. They are beautiful, fast, and if you take care of them they last a very long time. Compound bows in contrast are like pickup trucks that break easily. They break down over time and if not repaired regularly, the owner eventually decides to buy a new one and get rid of their old one. 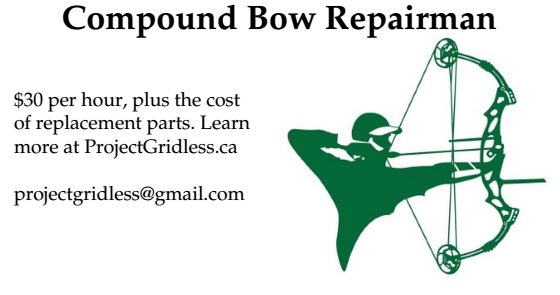 This is why it is sometimes so difficult to find vintage compound bows - because so few people take good care of them, know how to fix them, or hire someone else to fix them. Which means that they eventually throw out their old compound bow - as garbage. Below - A photo of two of my vintage compound bows, a 1970 Model T Jennings next to a circa 1973 Black Hawk Chief Scout. So are compound bows superior in every way? No. Speaking as someone who is a "Compound Bow Repairman", they are most definitely not superior. And modern compound bows? They break down so easily the average compound shooter buys a new bow every 2 or 3 years. They prefer to throw out their old bow rather than perform maintenance or get repairs done by a pro. With modern compound bows they depreciate even faster. 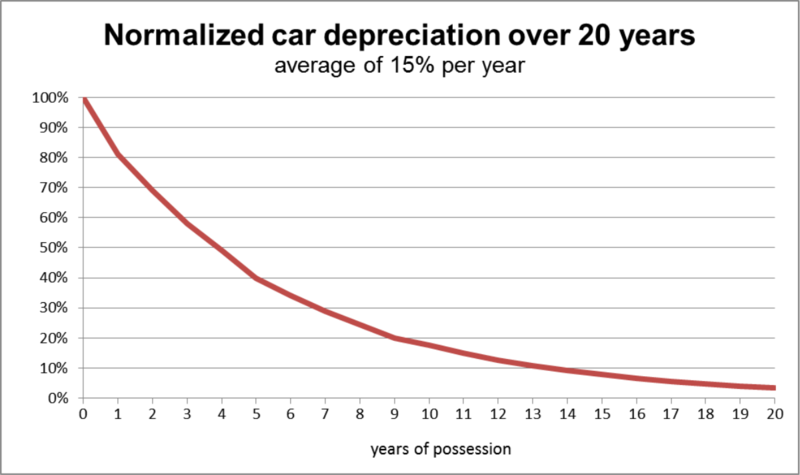 Think 50% of the value lost in the first year alone. So lets say you bought a brand new compound bow for $1,000 in January 2017. By January 2018 it is worth only about $500. By January 2019 it is worth only about $400. By January 2020 it is worth only about $300. By January 2021 it is worth only about $200. By January 2022 it is worth only about $150. And this assumes the compound bow in question is in good working order. If it was dryfired, damaged in some way, re-painted by an amateur, modified in some manner - it may have lost a lot more than in terms of value. In contrast recurve bows tend to keep most of their value. If you bought a $1,000 recurve bow, five years later it is probably still worth at least $800. So in terms of durability and long term value, compound bows really are not that good. They break too easily and they lose 60% of their value in the first two years. The top speed of compound bows are typically in the 300 to 350 fps range. Although this really only benefits long distance accuracy, and archers are typically only accurate at long distances if they have both good form and a steady aim. So while extra fps arrow speed is beneficial to someone who is already a good shot, to someone who is not it only serves to help them lose their arrows faster. The second "speed issue" here is loading and aiming time. Compound bows are actually slow to reload, draw and aim. A recurve archer could fire multiple shots in the time it takes a compound archer to load, draw, sight the target, doublecheck the level, make sure their peep sight is in line correctly with the sight housing (a little trick which boosts accuracy an extra 1/2 inch at 20 yards), doublecheck the sight is on the target, and then finally shoot. So compound bows are slow... not as slow as crossbows, but still really slow. So what about speed-power consistency? This is actually where compound bows excel. Regardless of whether it is used by a beginner or an experienced archer, a compound bow will provide consistent speed and power - which in turn boosts accuracy. To do the same thing with a recurve bow requires years of experience and proper training. Note, there are gadgets you can get for recurve bows that improves speed-power consistency. eg. On Olympic recurve bows they are called Clickers. Take the sights and gadgets off and the only benefits to accuracy a compound bow gets is the above mentioned long distance accuracy from boosted speed, and the above mentioned accuracy improvement from the speed-power consistency. The sights and stabilizers you can put on a recurve bow and guess what you will basically have? An Olympic recurve bow, more or less. Putting sights and gadgets on something doesn't make the archer more accurate. It just makes the archer more reliant on crutches that boost accuracy. So what about ease of use? It is easier to use sights on a bow, regardless of what style of bow it is. You can put sights on basically any bow. Stabilizers and other gadgets can also help boost accuracy thus making it easier, but the archer then becomes reliant upon such crutches - and such gadgets can be added to a recurve bow if you really wanted to. It is easier to pull and maintain full draw on a compound bow thanks to the let off, because they are basically designed for weaklings. It is easier to achieve speed-power consistency on a compound bow, but the same can be accomplished with a recurve bow by any archer who is willing to put in the time and practice. Overall, a beginner archer will typically find that a compound bow requires comparatively less skill to get accuracy at short distances. Less skill, less form, less training required. Compound bows are not as easy as crossbows - crossbows are so easy they are basically point and click - but they are pretty darn easy. The joke amongst traditional archers is that compound bows have "training wheels" on them. That is how easy they are to use. Brain dead easy. The only real challenge comes when the archer tries to use it at longer distances. Compound bows are great for people who have back or shoulder problems, like for people who suffer from muscular dystrophy or similar ailments. Great for people in wheelchairs. Great for people who want to hunt with a bow, but don't want to spend the time learning how to aim, learning how to do proper form, how to build their back muscles, etc. So why do some people prefer more traditional bows? The people who love recurve bows, longbows, horsebows, etc - they love the challenge. They love practicing. They are out there practicing constantly and getting amazingly good at what they do. Using gadgetry to make the process easier for them is blasphemy. Myself, I like all bows. All of them are fun. Crossbows are fun because you can shoot them while laying on your belly. Compound bows are fun because you can spend hours tuning the sights, and to a person like me who grew up with Lego, taking things apart, rebuilding them compound bows are just an extension of my desire to keep taking things apart and playing with the sights, the gadgets, trying to make them perform better. Recurve bows are fun because you don't need any fancy gadgets. You just practice your aim and form and you get really good at it. Amazingly good at it. So amazing you hit your own arrow twice in the same round. Longbows and horsebows, although different, use similar form. The longbows are more forgiving and accurate, the horsebows have the added challenge of trying to cant them the correct amount for optimal accuracy. Both are fun to shoot. So to me, whenever I hear someone claiming that compound bows are the best, I laugh. I laugh because what they are really saying is "compound bows are the easiest". Which in truth they are not the easiest. Crossbows are the easiest. Waaaaaaaay easier. So easy it is ridiculous. See how recurve bows are actually in the middle there? More of a challenge than a compound bow, but still less challenging than both longbows and horsebows. Crossbows are more powerful, faster fps speeds, more accurate, and super easy to learn how to use. They are so stupidly easy. And being able to shoot them while laying down, well that just makes them fun too. But does that make them superior? Crossbows and compound bows are easier, but slower. Traditional bows are faster, but require more training. And with anything that has Pros and Cons, what the individual archer chooses to use really depends on their needs. eg. When fighting on horseback the Iroquois in Quebec preferred to use crossbows*. In contrast the Apache preferred horsebows when fighting from horseback. Each had different tactics. The Iroquois would ambush their enemies with the crossbows and then use the trees to provide cover while they reloaded their crossbows, thus it was used more as a mobile sniper would use it. On the open plains however, the Apache did not really have much cover to help them execute ambushes or stay hidden during a battle. Thus they preferred lightning attacks where they charged in, shot everything with lots of arrows, and massacred their foes - a tactic the U.S. cavalry later copied and used against them. * Fun Fact, yes, some North American Indigenous peoples did actually use crossbows. They simply were not as popular because they were slower to reload. Depending on your circumstances you might think horsebows are the bee's knees. Or maybe you prefer longbows. Or maybe crossbows are awesome because you like to just point and click. So which do you prefer? Do you think your favourite bow is superior? Feel free to leave a comment below, but be prepared to have people laugh and point out the flaws in your favourite bow. Every person who claims theirs is "the best" will be publicly ridiculed by myself and others. So go ahead, try to prove your bow's "superiority", but be prepared for when I ridicule your favourite bow for being slow and designed for halfwits. PS. This includes the people who think hybrid recurve compounds are the best - when in reality they actually use the "worst parts of both". 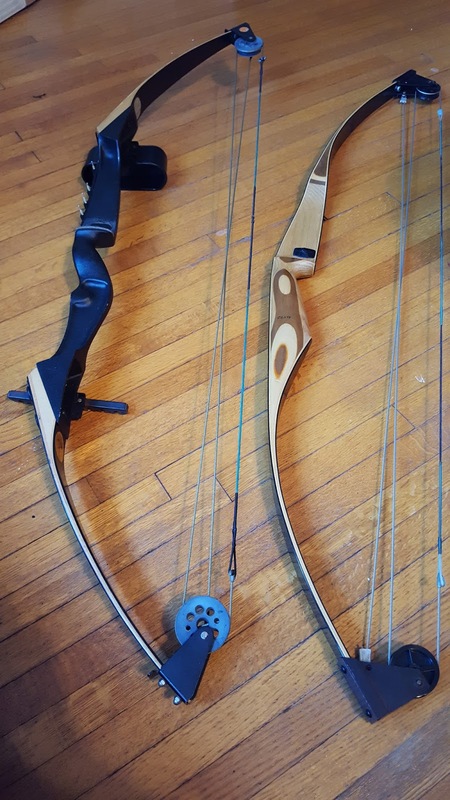 I will likely write another post on that topic in the future to demonstrate why hybrid recurve compounds are actually "literally the worst bow you could ever buy".